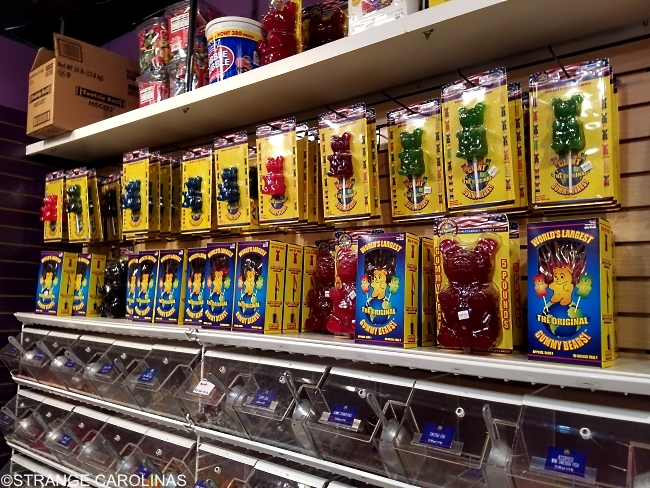 The giant gummy bears that can be found at Popalop's Candy Shop in Crabtree Valley Mall in Raleigh are HUGE. How huge? Popalop's gummy bears are 1,400 times the size of a regular gummy bear and each weighs five pounds! 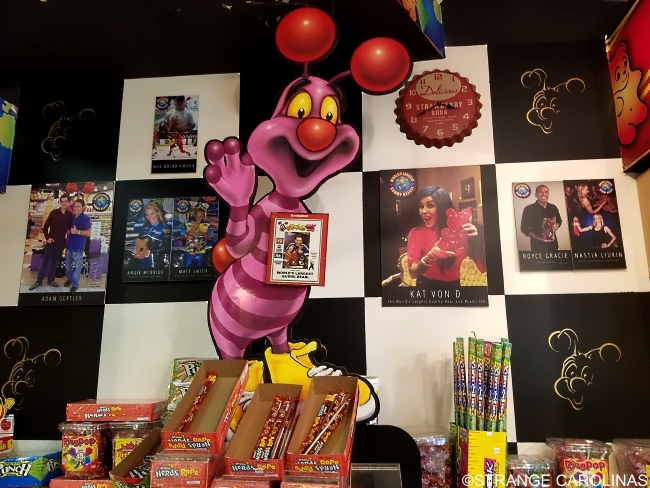 They're so big, The Food Network has been by to check them out and they've been featured in Ripley's Believe It Or Not!. 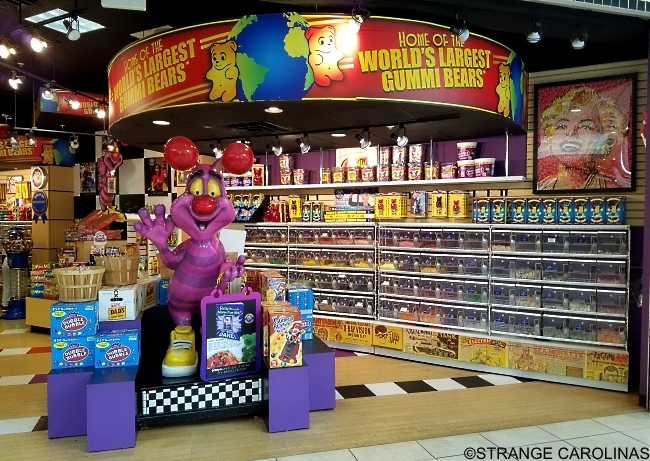 "Derek Lawson makes giant gummi bears at Popalops Candy Shop in Raleigh, NC. 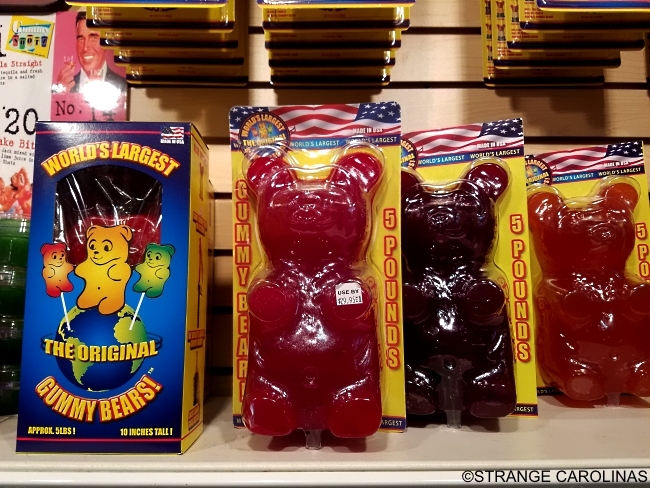 Each one weighs a massive 5 lb and measures a whopping 9 X 5.5 X 3.5, which is 1,400 times the size of an ordinary gummi bear. It takes nine hours to create each bear and make them taste exactly like the original smaller version. 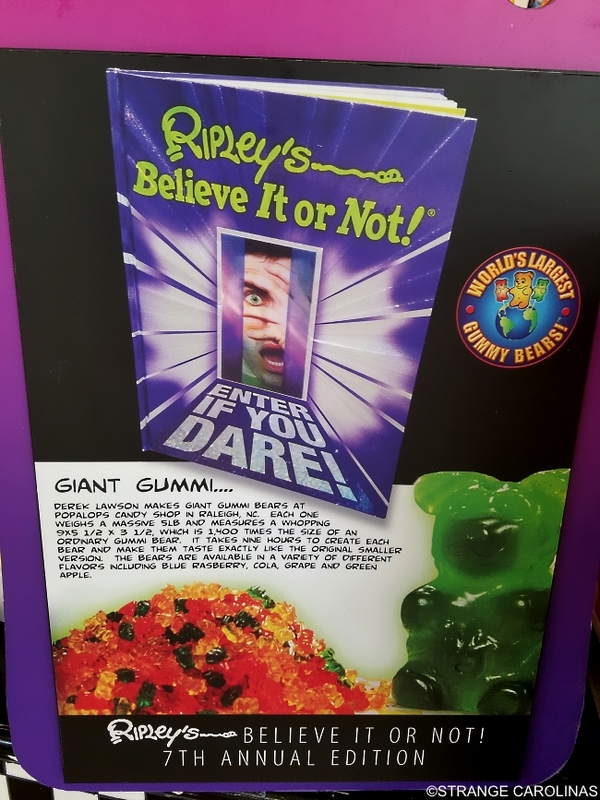 The bears are available in a variety of different flavors including blue raspberry, cola, grape, and green apple."